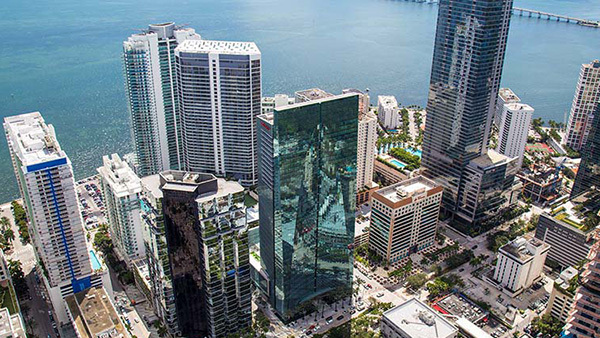 Espirito Santo Plaza is a sparkling 36-story mixed use glass tower with an attached 12-story parking garage and 260,000 square feet of class “A” office space. 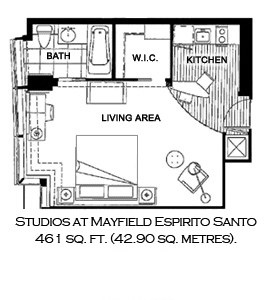 Espirito Santo Plaza is combination of condo, hotel and office space, built in 2004. 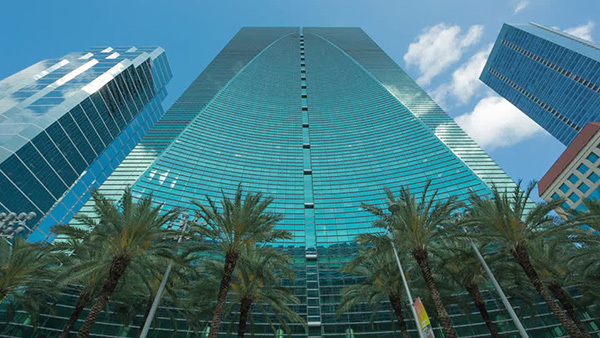 Located on the southern end of Brickell Avenue in the very popular Financial District, this eye-catching glass skyscraper is composed of 36 floors and contains 136 units. 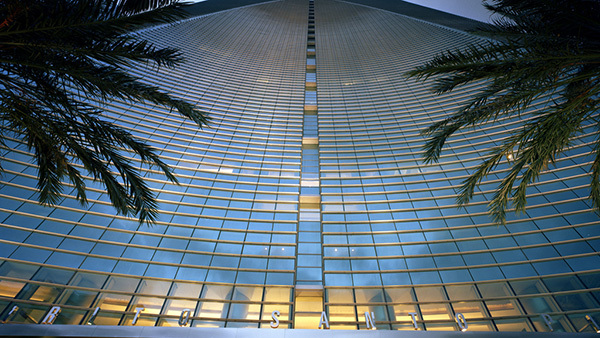 A portion of the class “A” office space is allocated for the North American headquarters of Espirito Santo Bank; the hotel is a Conrad Hotel brand. 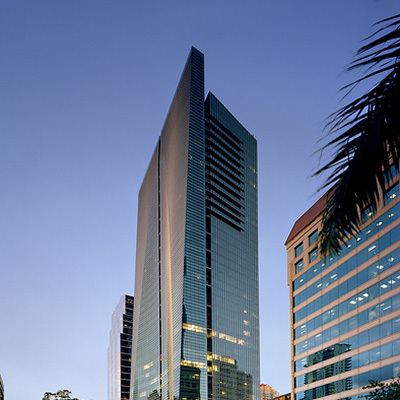 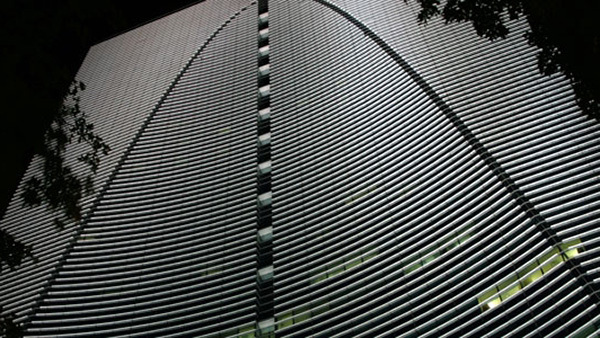 The Espirito Santo Plaza was designed by the well known architectural firm, Kohn Pedersen Fox Associates. 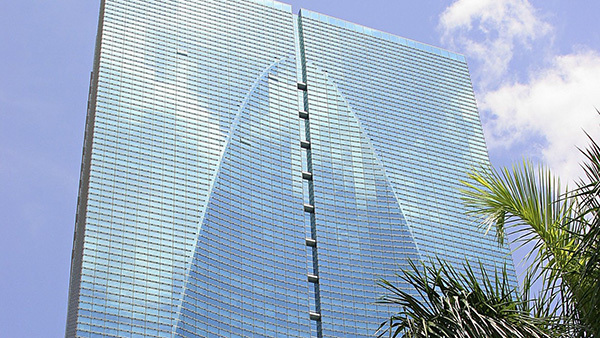 Its architectural style is iconic and is loosely based on the Saint Louis Arch. 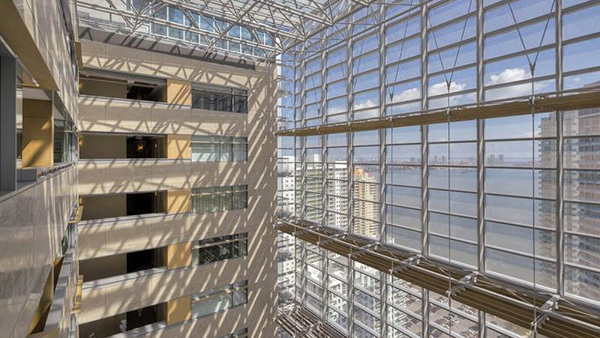 A 12-story parking garage is attached to the tower along with a walking bridge leading to the 2nd floor. 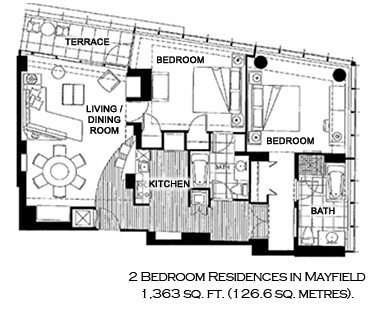 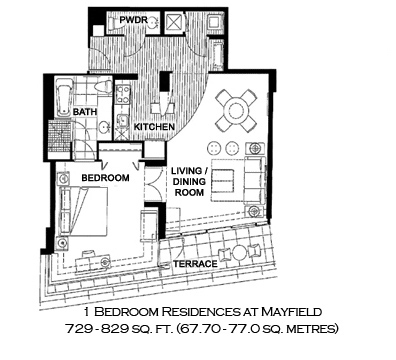 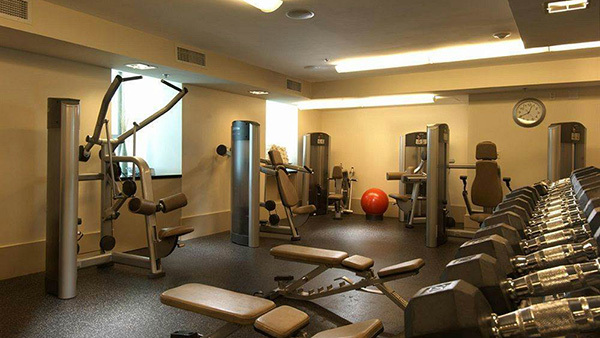 The building includes many world class amenities for condo residents such as 24-hour security, covered and valet parking, concierge, a fully equipped health club, pool and spa, retail and restaurant facilities, and much more. 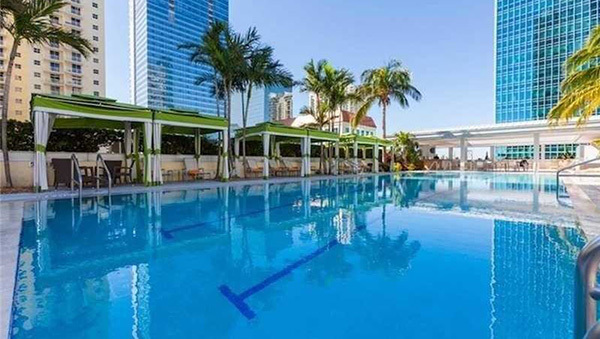 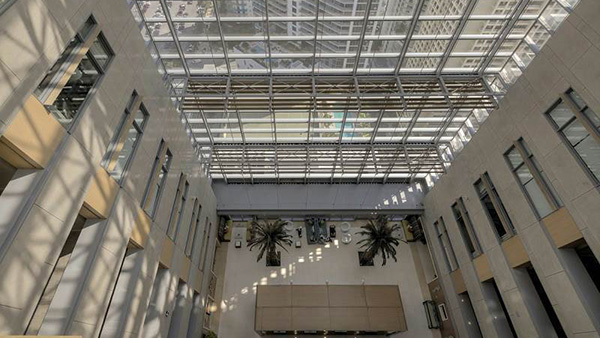 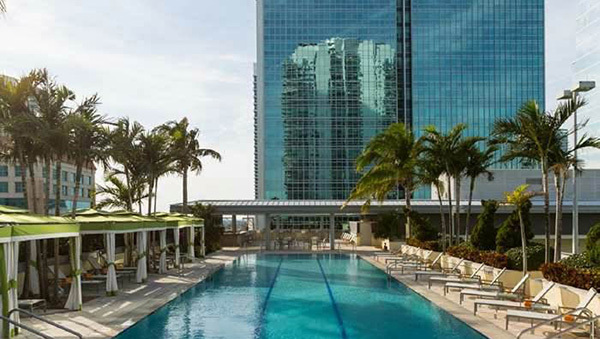 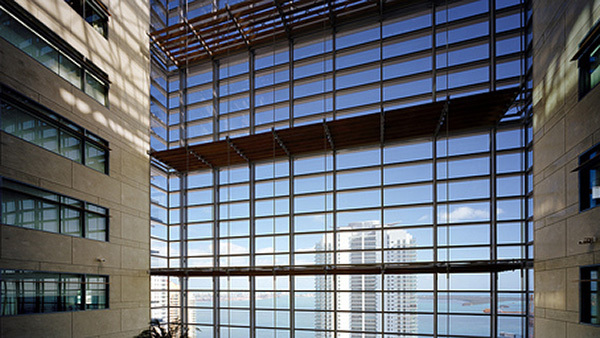 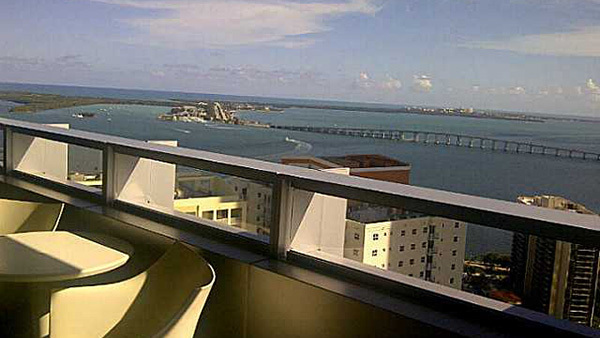 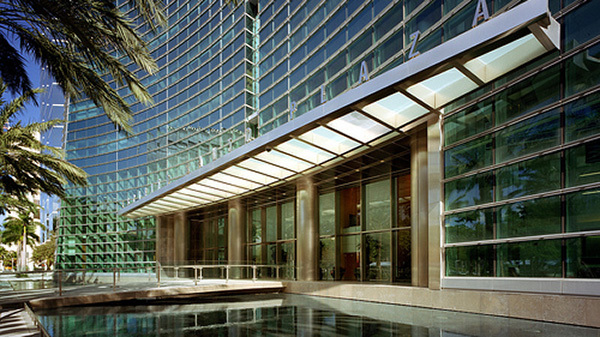 Located in the heart of Miami’s Financial District, Espirito Santo Plaza provides easy access to many Miami attractions and destinations like Coconut Grove, Key Biscayne, South Beach, Bayside Marketplace, Museum Park, American Airlines Arena, and is only a 15-minute drive to Miami International Airport.